Yet Another Big Day in the Mountains! 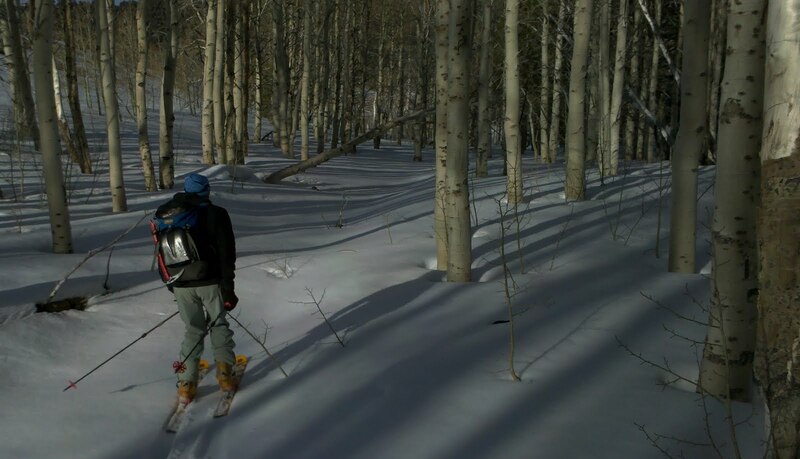 Skied a beautiful and rugged tour today for work- first we wentup from Lee Vining Canyon to the Dana Plateau via the V-Bowl and Coke Chute. From the plateau we skied south down the Kidney Chute to Kidney Lake, then climbed to the Dana/Gibbs saddle and on to the summit of "Skier's Gibbs". From there we skied all the way down the East face of Gibbs. This East face is absolutely immense, especially with the miles of forest and sage exit. Tough part was difficult snow. We made it work, but had to work for it, for sure. In other news, well, there's lots of it. At the risk of being cryptic and vague, the news that is good is very good. And the bad is totally manageable. Not a bad combo.